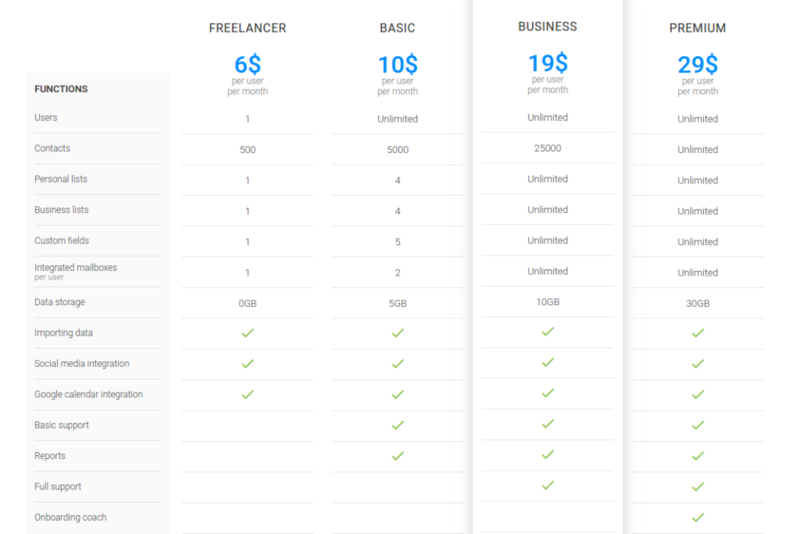 InStream is currently available in five different pricing plans: Free, Freelancer, Basic, Business, and Premium. The Free Plan – has been created for people who begin their business journey and have just a few contacts which require attention. The Freelancer Plan – it is dedicated to people who have to handle basic communication with people and companies. The most common users of this plan are self-employed entrepreneurs and freelancers. The Basic Plan – it has been created for small companies in which communication with clients plays the major role. Additionally, basic reports help with handling and monitoring sales process. The Business Plan – thanks to access to the unlimited number of lists it helps to be on the top of communication in small and medium-size business. Advance reports raise the effectiveness, enable monitoring and organizing sales processes. The Premium Plan – this plan is dedicated to medium and large businesses which run multifaceted communication via several channels. Advanced reporting and our help with implementation ensure improvement in building strong business relations. You can upgrade or change your pricing plan directly from the app in the “Pricing” tab.